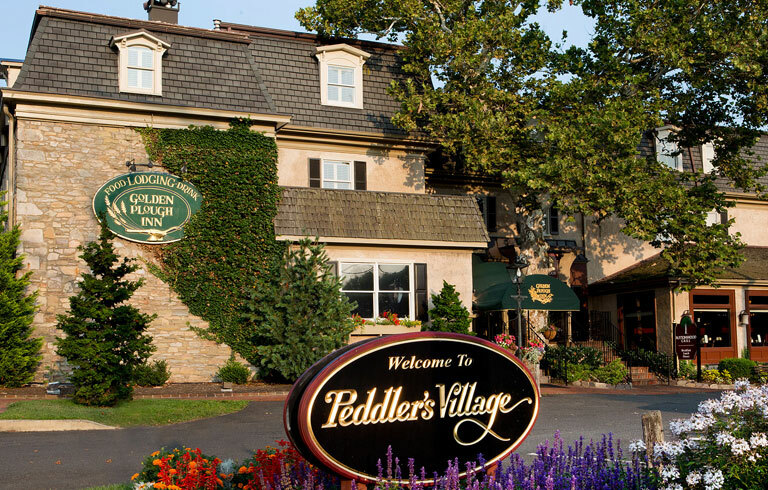 Anchoring Bucks County’s picturesque 42-acre Peddler’s Village, the Golden Plough Inn features 67 guest rooms and suites that feel as if they’ve been plucked from beautifully appointed country homes. Hand-chosen fabrics and furnishings, teamed with treasured family heirlooms, create an atmosphere of mirroring the village’s Colonial-era ambiance. 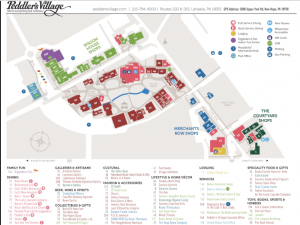 The Golden Plough Inn comprises accommodations in the Main Inn as well as throughout Peddler’s Village. Our partnership with the nationally recognized David J. Witchell Salon & Spa blends their award-winning services with the extraordinary hotel and dining venues at Peddler’s Village. David J. Witchell Salon & Spa is a haven of luxury, relaxation and service. The two-level business houses a classic hairdressing salon and retail on the first floor with spa services in nine treatment rooms on the second level. A visit to the Golden Plough Inn and David J. Witchell Salon & Spa perfectly integrates casual and refined elegance with impeccable service in a luxurious environment – a delightful recipe for good living! Under the design direction of noted interior decorator AJ Margulis, the inn merges current design trends with an appreciation for timelessness. Guest rooms and suites are fresh and comfortable, yet stand the test of time. After breakfast at the award-winning Buttonwood Grill, it’s time to explore the shops and boutiques of Peddler’s Village, enjoy a spa treatment, or head to the Bucks County countryside for culture and recreation. Guests can enjoy nearby historic sites, theaters, museums, golf, tennis, horseback riding, antiquing, and more.